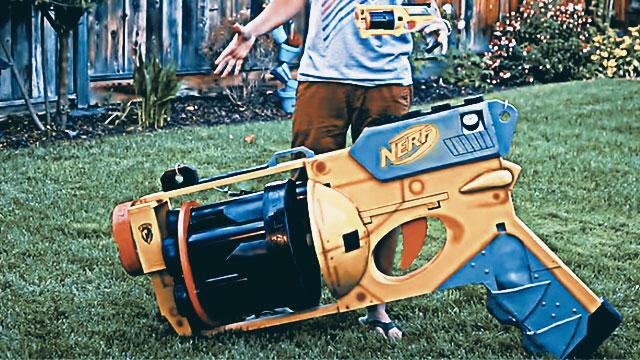 A former NASA engineer is now living the life as he may have just built himself the world’s biggest Nerf gun. 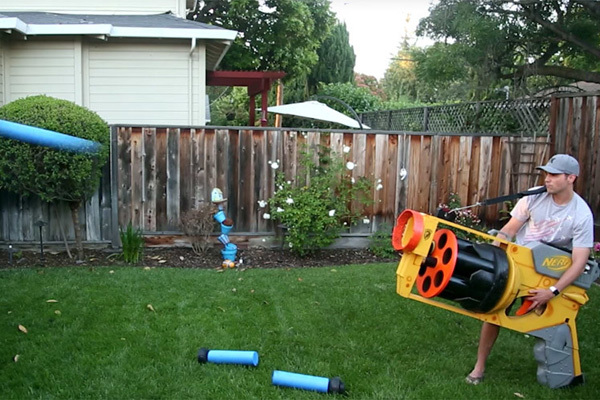 YouTuber Mark Rober, who worked on the Mars Rover project, joined forces with fellow YouTubers Ryan and David from Eclectical Engineering, and together created a giant Nerf gun that is capable of firing rounds at a staggering 40mph (64kph) over 130 yards (118 meters), powerful enough to obliterate watermelons and glass. “In an effort to keep people from picking on me, I decided to create the world’s largest functional NERF gun,” Mark explains in his video. Because of its size, the team uses foam pool noodles and toilet plungers for ammunition. According to the duo from Eclectical Engineering, the source of the gun’s awesome power is a paintball air tank that can power up to 20 shots and is capable of shooting 3,000 pounds-per-inch. 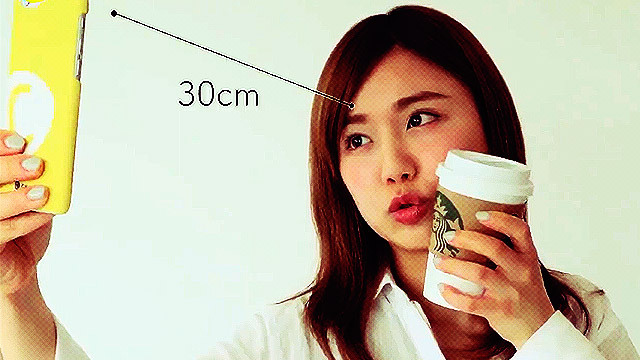 The gun is modified to shoot at least five times before refilling. Note to bullies: Don’t ever get on Mark’s bad side. Or else the last thing that you’ll ever see is a (used) plunger heading straight at your face.